Use size 11/0 seed beads, Miyuki Tila beads and SuperDuo (or Twin) beads to make two different bands. You can substitute the new 5x5mm Tile Mini beads for Tila beads if you prefer a thicker and less delicate two-hole tile bead. 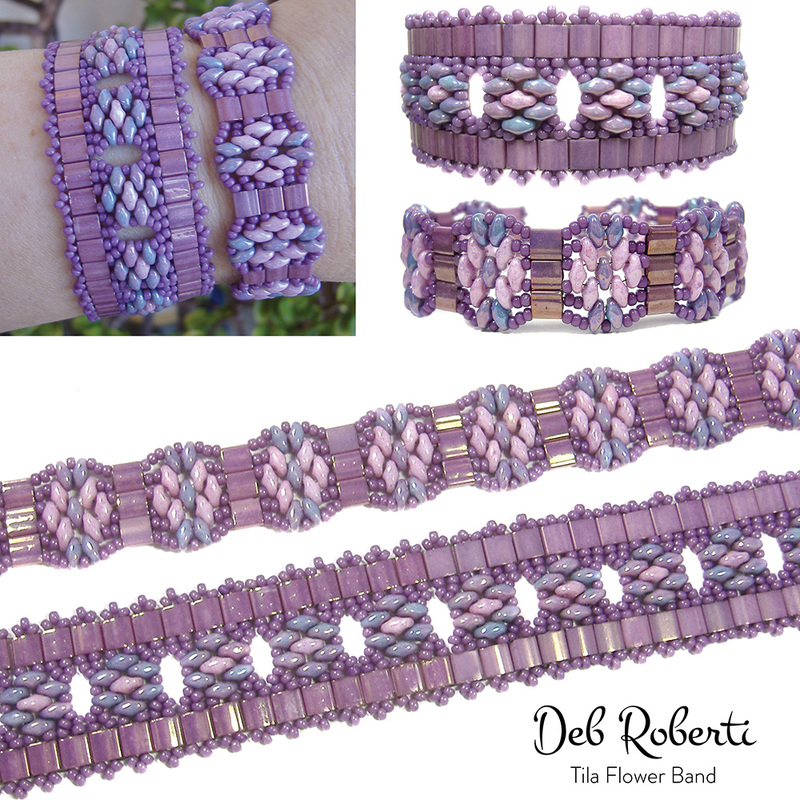 This pattern is fully illustrated pattern with detailed step-by-step instructions for both bands. The thinner band is about .75 inches wide and the fatter band is about 1.25 inches wide; length as desired.